Churches across the country have discovered the joy that is the Octopit USA gaga ball pit. There are a number of things that make the Octopit a great addition to the church playground. Some of the most common reasons why our customers love the Octopit are the fact that it is safe, affordable, and provides a great, inclusive game for kids of all ages. One of the defining traits of the Octopit USA gaga ball pit is that it provides a safe alternative to most other types of playground equipment. It is a sturdy structure that provides boundaries for a game of gaga ball, which means that there are no heights to climb and no ledges to potentially tumble off of. Affordability is another benefit to the gaga ball pit, especially for smaller organizations like churches that don’t have large budgets to spend on more elaborate equipment. The Octopit USA gaga ball pit is the perfect solution for large and small churches alike who are looking for a durable and versatile playground game for students to enjoy. One of the best reasons we can think of to opt for gaga ball over other types of activities is that it is inclusive. The nature of the game allows for children of all age levels and abilities to participate and have fun alongside their friends and peers. 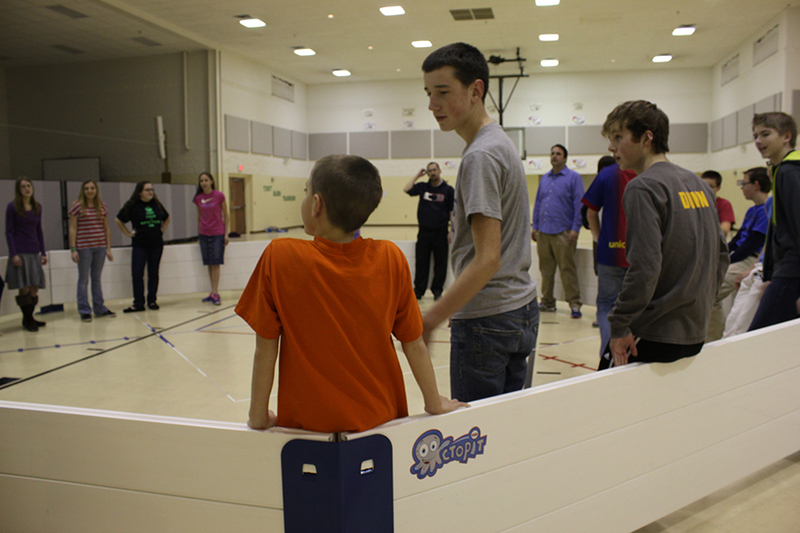 No one will feel left out or unable and everyone can enjoy the fun of gaga ball. For more information or to enquire about purchasing an Octopit USA gaga ball pit, please contact us today!